I made this recipe once before, way back when. I’m pretty sure it was one of the first recipes I ever made in my crockpot, long before I started this blog. It’s kind of sad that it took me this long to get around to making it again. Possibly because it’s so obviously unhealthy that I feel guilty about it (although that doesn’t usually stop me, so maybe that’s not the reason after all). But, no matter the reason, I decided to make this dip for book club because, well, it just sounded good. I used a 1.5 quart crockpot that I borrowed from my mom (thanks Mom! ), which seemed to be the perfect size. 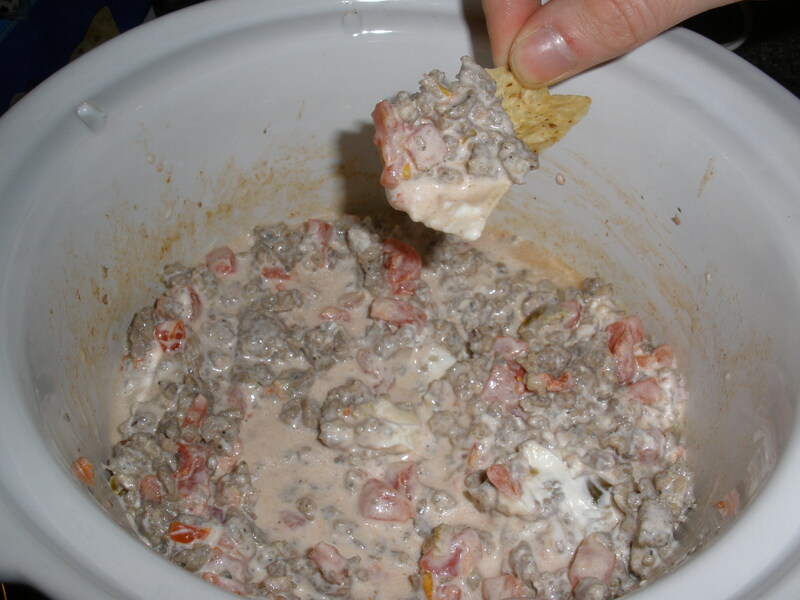 Plop the cream cheese in the bottom of your crockpot. 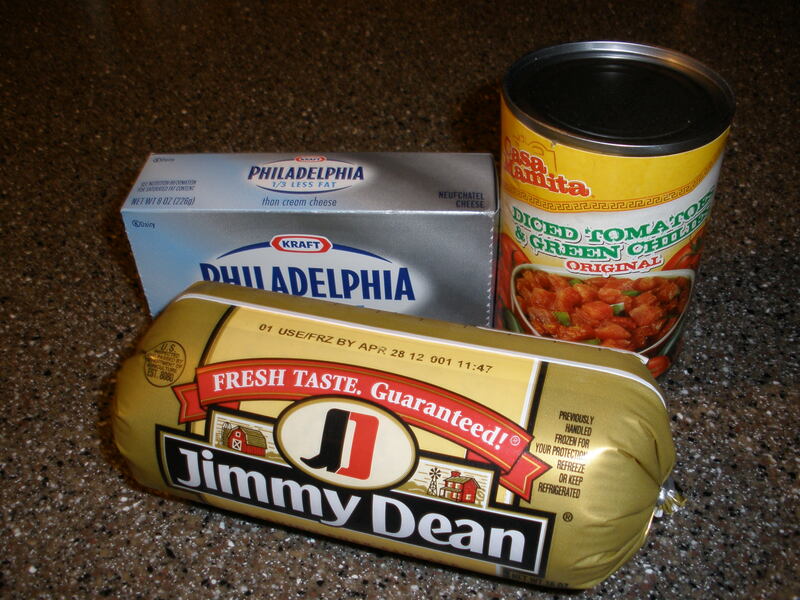 Add the crumbled sausage on top, then dump in the can of diced tomatoes. Cook on high for about 45 minutes or low for 90 minutes. At end of cook time, stir well. Serve with tortilla chips and enjoy! I don’t think you should rate how much we liked it by how much we ate…many of us tend to be a little shy about pigging out. Lol. I thought about eating even more…this was delicious!!! We’ve tried this and its divine. Use Rotel.